The Rendezvous Tea Rooms in Brisbane’s Woolloongabba is tucked away, and unless you stumble in to the sign on the footpath or are looking for it specifically, you could easily miss it. A small and cosy tea room offering ‘tea leaf reading’ by a daily tea-cup reader for $10, the place is reminiscent of 1940s inner city Brisbane when some tea rooms offered illegal fortune-telling. Today, the police no longer raid tea rooms as the laws changed in the late 1990s, so your future reading is safe. The menu suggests Bushells Billy Tea for the tea of choice for a reading – perhaps the message is conveyed clearer through this Aussie brew? However, the reader is happy enough to use my friend’s green tea leaves from the tea bag. It’s a fun ‘add-on’ to a tea gathering, and every one who has a reading goes in to a monthly draw for a high tea for two. 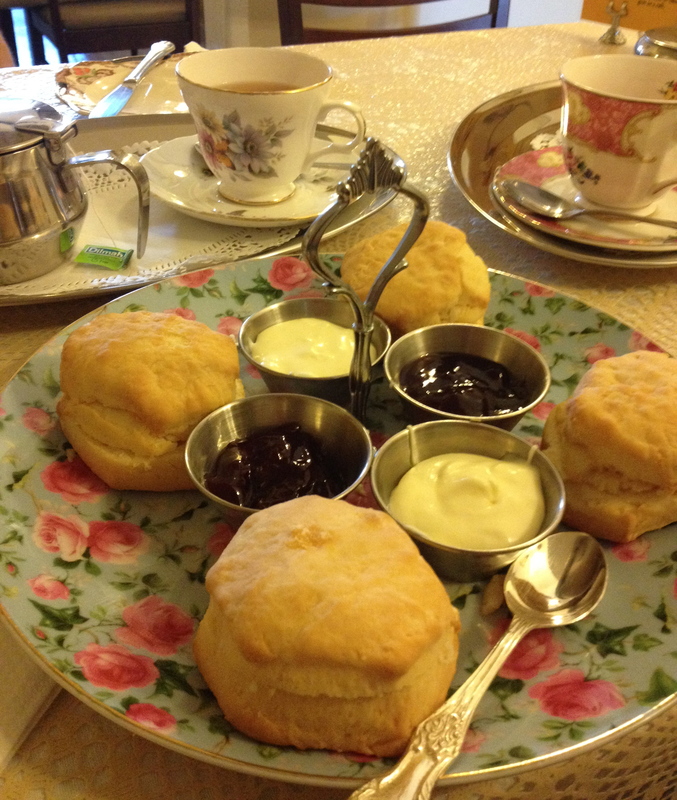 Although we are initially excited at having the tea room to ourselves and are impressed with the impeccable and friendly service and dainty tea cups, the whole shebang; scones, jam, cream and tea, ends up being rather average. There’s nothing remarkable about the small scones nor the plum jam and the sweet cream is very light. I must say, the waitress did ask us a couple of times whether we’d like her to whip up another batch of cream, but she shouldn’t really have to offer, should she? Tea: Some varieties of black loose-leaf teas and a few choices of green/herbal tea bags. Overall: Tucked away bolt hole for scone fans.